Organ have created some products to help you start your year dairy free and wheat free. In the past gluten free products have been a little like marmite, you either hate them or love them, but now they are tasty enough for anyone to enjoy. 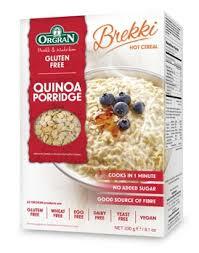 The Organ Quinoa Porridge is the perfect to start your day, just 1 cup of porridge and your choice of water or milk. I added some fresh strawberries, cinnamon and organic honey. I have to say this not only put a spring in my step for the day, but the taste was divine. 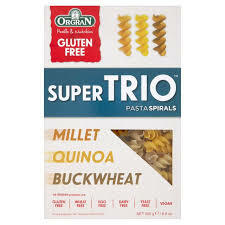 The Organ Super Trio Pasta Spirals: Millet, Quinoa and Buckwheat are easy to cook. I simply added crushed garlic, red and green peppers, along with chopped onions, black pepper, chilly flakes and a little grated cheese. After pop it in the oven so the cheese melts and enjoy the tasty gluten free meal. 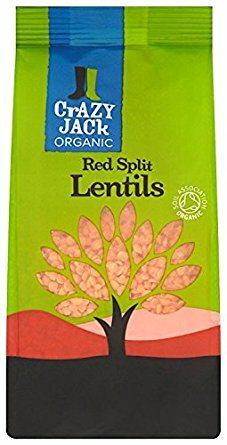 In keeping with this the theme I tried the Crazy Jack Organic Red Lentils. You simply wash them and pop the lentils into boiling water. I added curry powder, crushed garlic, chopped onions, chilly flakes and cooked them until the lentils were soft, making perfect curried lentils. I was not a big fan of gluten free products before, but these definitely got me hooked. Try these delicious meals with family and friends, you may just be a convert too!